This is a quick shout-out to the Lao Student Association members whom I supported yesterday while on my lunch break. I try not to make a bad habit out of it, but I do like my pastries and I simply couldn’t turn down cake pops and puppy chow being waved in my face. So I bought $100 worth. Well not exactly. I gave to a good cause. As it turns out, the LSA members were donating 20% of their profits to Legacies of War, the DC-based nonprofit that builds awareness of the tragedies resulting from the Vietnam War-era bombings of Laos. As such, they were also taking orders for cool-looking frame art for which I also put in an order. It’s not too late to get your own frame art (they spell words with photos of artsy letters). If you would like to know more about the artsy frames, they are still taking orders until Friday, Oct. 26. Contact LSA at lsa@umn.edu or visit their webpage for find them on Facebook. 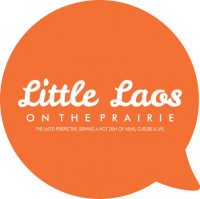 Next PostBlended Learning for Lao Minnesotans?